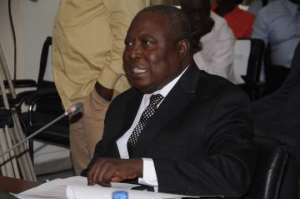 Special Prosecutor nominee, Mr Martin Alamisi Amidu on Tuesday said upon his approval, he would try cases fairly, unbiased and transparently without fear or favour. He said his success as the Special Prosecutor would not be based on the number of persons that would be jailed, but the integrity and credibility of the institution that would be left behind. This, he said, would ensure that, his successors work in harmony and protect the legacy with pride. The nominee noted that, President Nana Addo Dankwa Akufo-Addo shared his passion to fight corruption, hence his decision to accept the position. Mr Amidu said this when he appeared before the Appointments Committee of Parliament in Accra. Mr Amidu said accepting the position as a Special Prosecutor was not for money, but because he had passion to fight corruption in the public service. The nominee said one of the ways to limit the spate of corruption in the country was to put in place mechanisms to close the financial leakages in the public service, adding; 'I will continue to fight corruption whether my appointment is approved or not'. He said he would try to be impartial as possible and be the moral compass and gatekeeper 'so that nobody will say that the axe is cutting one way'. The nominee, who is a former Attorney-General and Minister of Justice, said he would not accept trial of cases under investigations in the media. Therefore, he said, it behoved on the Prosecution to prove the accused person guilty beyond every reasonable doubt, instead of being tried in the public domain. He advised journalists associations in the country to advice their members to exercise extreme circumspection when commenting or writing on cases being investigated and prosecuted by the Office of the Special Prosecutor. 'When I was the Deputy Attorney-General and Minister of Justice and later the Attorney-General and Minister of Justice, I scarcely gave press interviews, because it is not only unethical, but unfair. A reputation once destroyed is difficult to retrieve even if you are acquitted'. Mr Amidu gave the assurance that if given the nod, he would try as much as possible to protect people under investigation until he decides to make a charge, and charge the person officially. The nominee said he had learnt hard lessons in life and that would guide him in his future engagements. Asked whether he was physically and spiritually prepared for the job, he said, his Creator always gave him strength and encouragement to withstand every challenge in life. 'It is not in my power, am human and whether I live two years, 10 years, 20 years, it is not in my hand, but as long as I have life in me, I will do my best'. President Nana Addo Dankwa Akufo-Addo nominated Mr Martin Amidu as the Special Prosecutor on January 11, 2018, to deal with public sector corruption. The nominee is subject to approval by the Appointments Committee of Parliament after vetting. The Special Prosecutor Act mandates him to carry out the responsibility of independently fighting corruption. He will also have full authority to initiate investigations into all suspected corruption-related offences of all persons in the public service if approved by Parliament.